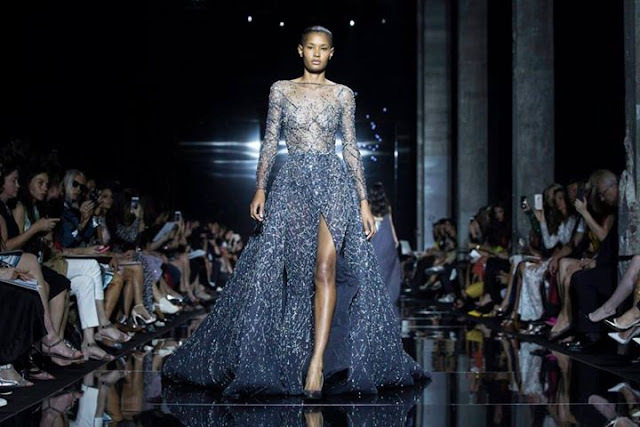 With the fall winter 2015 - 2016 Zuhair Murad collection was all about the sparkle! Irresistible, undeniable and seductive. Beauty expressed in sparkling beads, crystals, light fabrics, tattoo-like embroideries and deep V necks synchronized with leg slits. 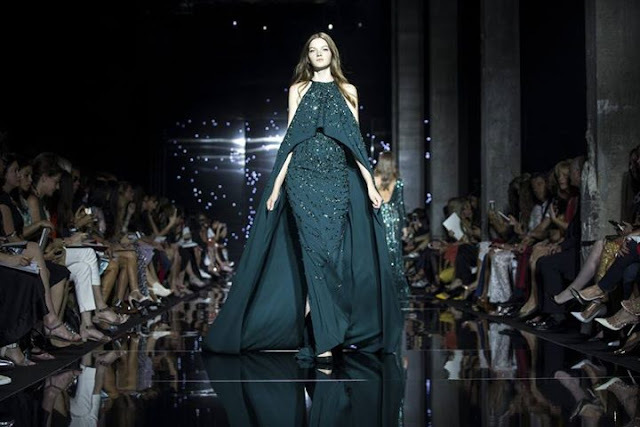 The new Zuhair Murad evening collection is called Star Catcher and it proposes bold and lush gowns, tall silhouettes highlighted with a lot of sheerness. There's also an obvious tendency towards the kaftan dress, but giving the designer's background it's only a beautiful surprise.